Universal Studios Japan, a popular tourist spot in Osaka. There are a lot of tourists visiting the so-called USJ for a long time, but there are a quirky fairytalchic building group that is quirky near that USJ. It can be seen from the Hanshin Expressway Coastline and the Floating Garden Observation Deck of the Umeda Sky Building, and everyone who saw it for the first time should think “What is it?” Moreover, it is said that there are a lot of tourists who misunderstand as USJ from its appearance and come visit. The building is the Osaka City Environment Bureau “Maishima Factory” and “Maishima Sludge Center”. For clarity, both are “garbage disposal facilities”. 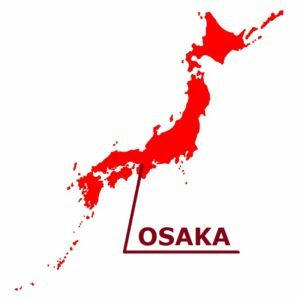 Although the inside can not be imaged at all from the appearance, anyone can visit for free even if you are not an Osaka citizen, and in recent years there are many visitors of foreigners. The inside of the factory is a general garbage disposal facility, but the space for visitors is designed as a fairy tale, and there are display panels that are easy to understand for children. You can also see an introduction DVD on factory functions and appearance design, so you can see why this building was made. 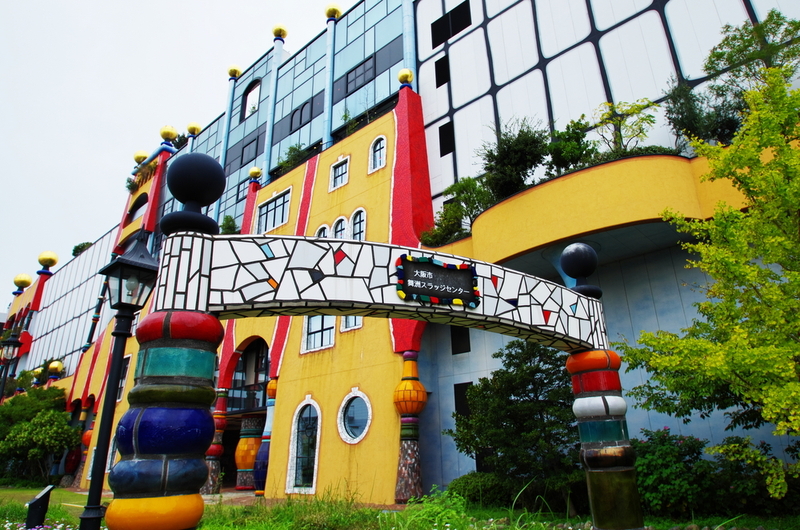 Maishima factory and Maishima sludge center were designed by Friedensreich Hundertwasser, artist of Vienna Austria. He is known for the design of nature conservation architecture and the Maishima factory has been devised to be surrounded by the design of the building and many greens with the concept of “harmony of technology, ecology and art”. 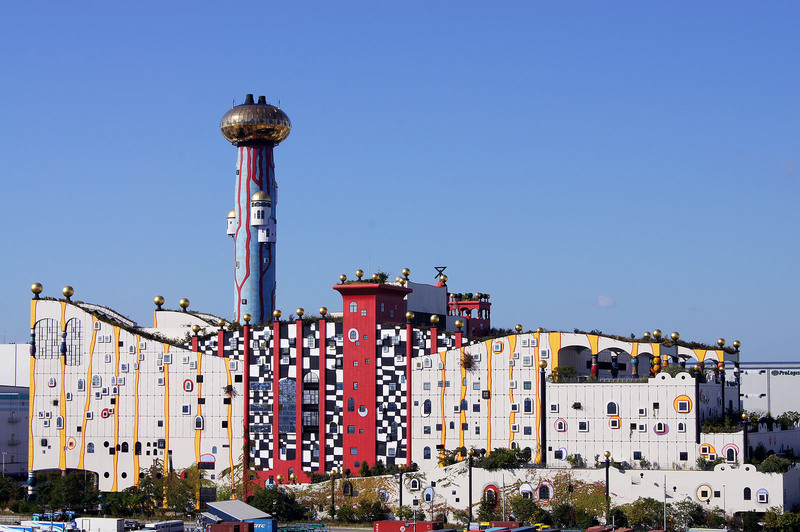 Hundertwasser Saying that “there are no straight lines or the same thing in the natural world”, the walls and chimneys of the Maishima factory are also not a straight line drawn with a ruler, many curves are seen. At the time of opening, Maishima factory was criticized as “wasteful use of taxes”, but in recent years that voice has not been heard so much. 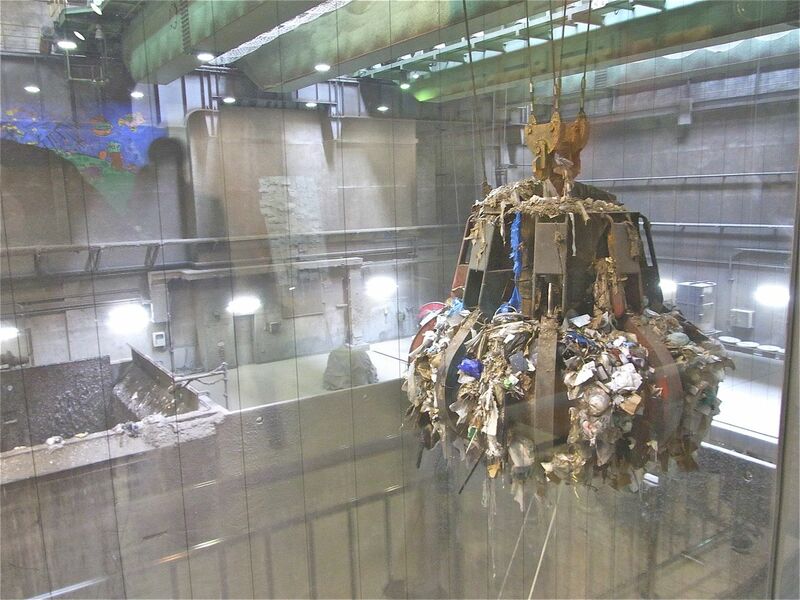 Within the factory, only visitors who have booked in advance can observe the situation where a large amount of garbage is carried into the incinerator with a crane, and devices that prevent harmful substances from leaking outside. As well as children, adults can recognize manners to throw trash and importance of recycling again, so why do not you visit once. 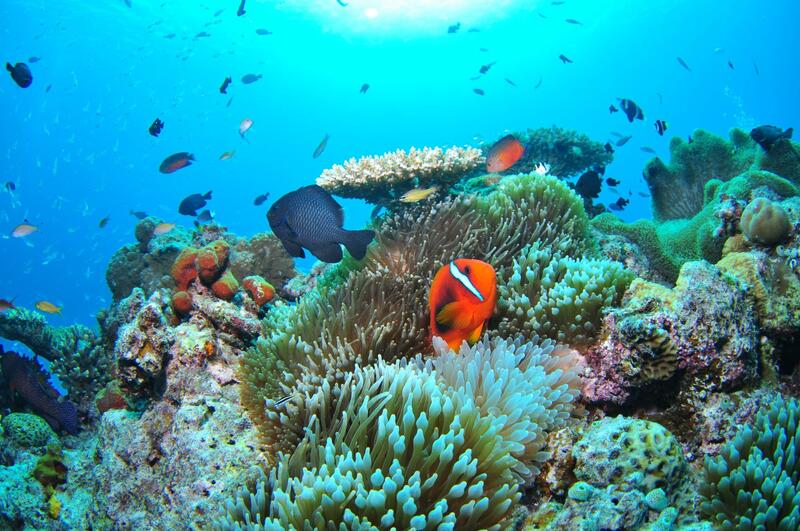 Those who have the experience which visited Osaka Bay have seen the conspicuous blue pinnacle. It has a fairy tale atmosphere like the castle which appears in a nursery tale, and is likely to mistake it for the facilities of the amusement park, but in fact, it is the chimney of the Maishima sludge center. The similar white spire rising a little apart is a chimney of the incinerators of Osaka-shi. 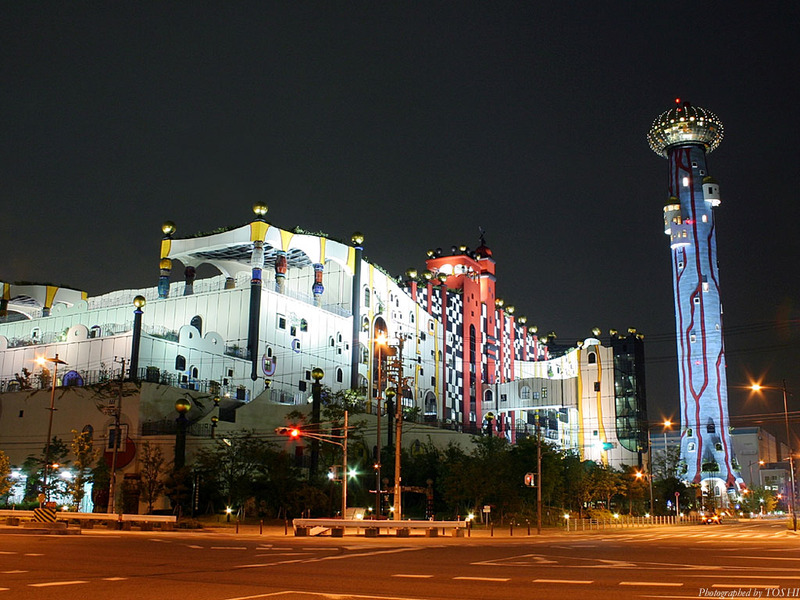 Both the Maishima sludge center and the incinerator of Osaka are designed by Friedensreich Hundertwasser who is a building architect of Austria. It is also a relation that the waste heat steam which occurred in the case of garbage destruction by fire utilizes for processing of sludge-dehydration. 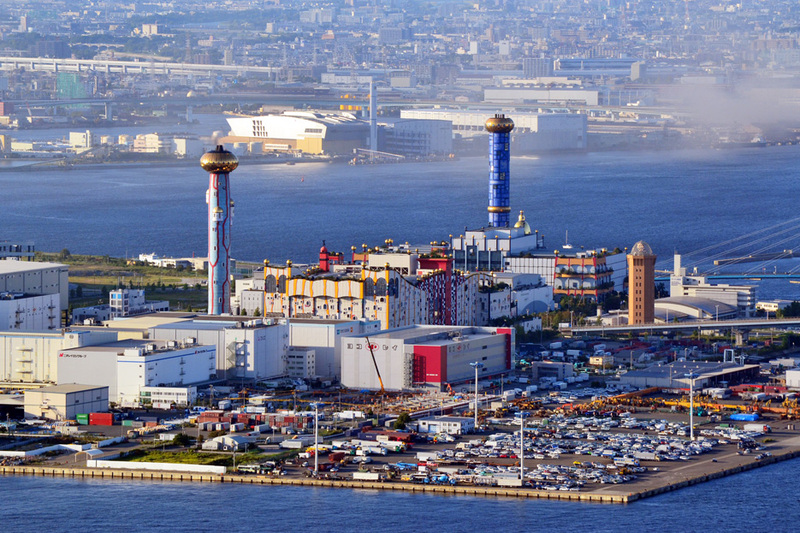 It is said that the blue chimney of the Maishima sludge center is expressing the sea and the sky of Osaka Bay, the brightness of the golden cupola seems to express a dream and hope to the future, and the red stripe design of the outer wall express flame processing grime. A balcony and the roof are planted and express “Harmony of technology, ecology, and art”. 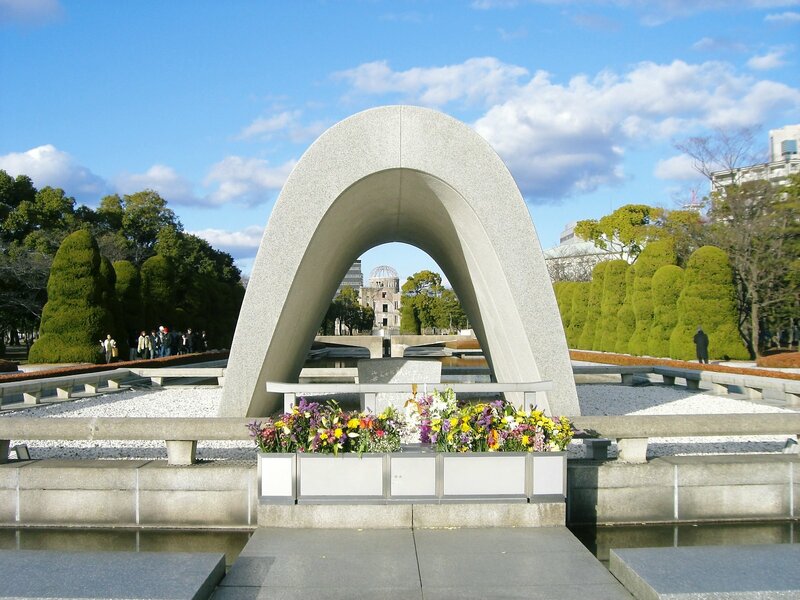 It is wide opened to the entrance hall as well as outer parts, such as a promenade, a little stream, and a bench. 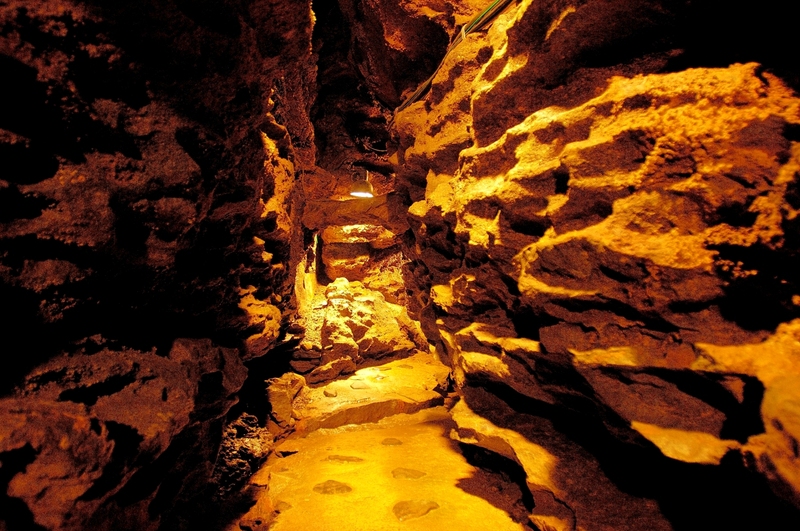 When you enter the entrance hall, you may fall into strange feeling. This is because the surface of a wall and a floor consist of curves. Mr. Hundertwasser assumes “Recurrence to nature, Coexistence with nature” an idea and is known to be the style that used many curves. The Maishima sludge center has a notable point as well as the appearance. It not only merely detoxicates the sludge produced from a sewer, but also it processes by energy saving and to reuse is challenged. *Reservation is required for tour of a facility.